Recent weeks have seen a dizzying number of votes at Westminster as MPs decide how best to deal (or no-deal) with Brexit. Since 27 March, MPs have assessed various different scenarios for dealing with the EU question. So far, only one, a Brexit delay, has gained support from a majority of the House of Commons (312 to 311). But how did Scottish MPs vote? Ferret Fact Service has mapped out their most important votes on Brexit, and looked at the process and outcome of the UK Parliament’s attempt to take back control. There were several options on the table during the voting. We have focused only on the four votes which were called in the second round of indicative voting, and the Brexit delay bill. So what were these options? 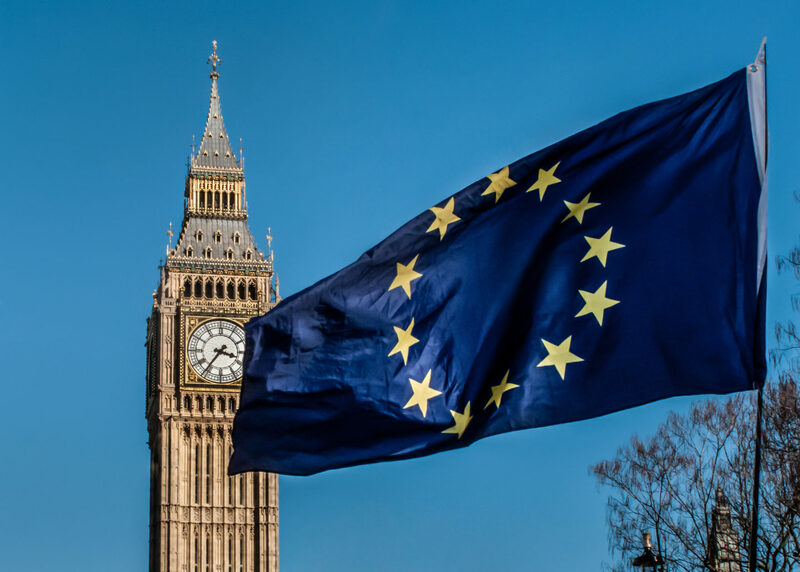 On 1 April, there were four different plans which aimed to avoid a ‘no deal’ scenario, proposed from across the political spectrum at Westminster. The first to be voted on was veteran Tory MP Ken Clarke’s customs union plan. This would see the UK committing to “negotiate a permanent and comprehensive UK-wide customs union with the EU” as part of any withdrawal agreement. The customs union is a central part of how the EU works, forming a trading bloc which means no customs duties are paid on goods moved within the EU, and setting a common tariff for goods imported from outside. Ken Clarke’s motion was voted down by just three votes in the second round of votes on 1 April, by 276 to 273. This compares to 271 to 263 on 27 March. In Scotland the plan was supported by all seven Labour MPs and two Conservatives. Two Liberal Democrats voted against, alongside the majority of Tories (10). Three SNP members did not vote on Ken Clarke’s motion alongside the two other Liberal Democrats and the Conservative Scottish Secretary, David Mundell, who abstained in all the votes. SNP MPs Angus McNeil, Stewart Hosie and Carol Monaghan were unavailable for the 1 April votes for travel or personal reasons. The next vote was proposed by then-Conservative MP, Nick Boles. This was a plan developed by some Tory and Labour MPs, which has also been described as Norway Plus. It would mean the UK joining the European Economic Area and having a similar relationship with the EU that Norway, Iceland and Liechtenstein. This would mean staying part of the single market and a temporary customs union. Parliament rejected the plan by 282 to 261 (21 votes), after which Nick Boles MP resigned from the Conservative Party. On 27 March it was defeated 283 to 189. A majority of Scottish MPs backed this plan, with all but three SNP members voting in favour, alongside six of the seven Labour MPs. Three Conservative MPs also supported Common Market 2.0. Voting against the motion were nine Tory MPs and Lib Dem deputy leader Jo Swinson. Three other Lib Dems did not vote, along with David Mundell, Labour MP Ged Killen, and three SNP MPs. Another vote was on a second referendum to get public approval of any deal passed by Parliament, tabled by Labour MPs Peter Kyle and Phil Wilson. This option was favoured by many remain MPs who have campaigned for a second vote on Brexit. It was defeated, with 280 votes for and 292 votes against. This was previously put forward on 27 March under the name of Margaret Beckett, and was defeated, with 268 votes for and 295 against. In Scotland, it was backed by all the SNP MPs except four, who did not vote. It also won the full support of Scotland’s seven Labour MPs and four Lib Dems. All of Scotland’s Conservative MPs voted against the motion, apart from abstainer David Mundell. This was put forward by SNP MP, Joanna Cherry, and would allow parliament various checks and balances to avoid leaving the EU without a deal. It committed parliament to an extension if a deal is not in place two days before the leaving deadline. If no extension is agreed, MPs would have the option of revoking Article 50 to stop Brexit from taking place. It was not voted on during the first indicative votes. Cherry’s motion commanded the least support in the House, with 191 in support and 292 against. It gained support from many Labour MPs. All available SNP MPs backed the plan, as did Scotland’s Labour and Lib Dem MPs. All the Conservative members voted against, except Tory MP Paul Masterton who abstained alongside David Mundell. After all the votes failed during two days of indicative voting in the House of Commons, a bill was put forward by Yvette Cooper to force Theresa May to ask for an extension to the exit date of 12 April. It passed through the Commons in under a day, eventually being backed by a single vote, 313 to 312. This vote was backed by all Scotland’s MPs from the SNP, Labour and the Liberal Democrats. Every Conservative MP voted against the bill. Want to see how your own MP voted during the last few weeks of Brexit? Search the table below for their name, or your constituency.